Introduction: Why you should install iOS 9 on Android? How to install iOS 9 on android using custom ROM? So you have a desire to buy a new iPhone, but you can't afford it. And you want to convert your Android smartphone into iPhone device. Android and iPhone is one of the biggest competitors, and both are dominating the smartphone market in India or abroad. Peoples tend to buy smartphone having Android or iPhone OS because it provides flexibility, multi-tasking and HD game support. 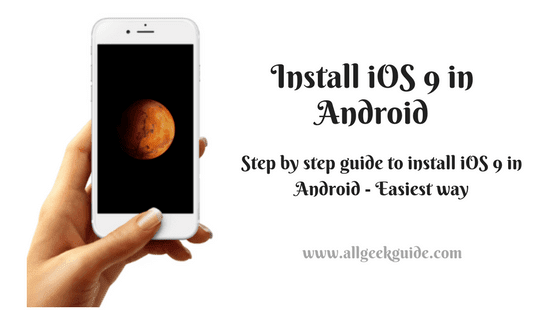 So, in this guide, I will show you a simple step by step guide to install iOS 9 on Android device quickly. If you want to install iOS on Android, then the best way is to install CUSTOM ROM which you can download from the developer website. But, I will not recommend you this method if you fail to comply any step then there are high chances that your device may be bricked. However, there are also several methods available across the web by which you can recover your device OS. Note: You need to root your device. Otherwise, the following tutorial will not work. Root will void your warranty. The following tutorial is of 10 step. So read and understand all the step carefully before jumping into the process. 1. The very first thing, you need to do is to download Custom ROM for your android device. Just navigate to google search and search for IOS 9 ROM (compitable to your phone). 2. Now, when you have downloaded ROM zip file then put the file into your SD card. 3. Then, reboot your device into the recovery mode (power button + Volume up + Home button). You will see some options. 4. Now, you need to tap on wipe data/factory reset > wipe Dalvik cache > wipe cache partition. 5. Now you have to tap on backup. Note: You must have to backup your current OS. If anything goes wrong with your device then you can restore your device back. 6. Now, you need to go back to the main menu and then tap on zip from sd card > Install ZIP from sd card. 7. Now, select the ROM (from the SD card) which you have downloaded in step 1. And tap on the file to install. Your device will ask you to confirm the installation. Then tap on YES to grant the permission to install. 8. Now wait for a few minute or until the installation gets completed. 9. Now, go back to main menu and then tap on reboot. 10. That's it. Now you have successfully installed iOS 9 in your android device. Note: - I still will not recommend you to install CUSTOM ROM on your Android device without having the proper knowledge of recovery. Alternatively, you can use the just below method to make your device feels like iOS user interface. How to make your device user interface feels like iOS? This is one the best method to install iOS in your android because here you are not installing CUSTOM ROM on your device. So you no need to root your device, and therefore, your device cannot be bricked. iLauncher - OS 9 provides the same interface as iPhoe provides. You cannot feel that your device is running on Android os. This launcher will completely replace the android default OS with IOS9 OS. Your All Apps will be added on the desktop, so you can start them directly without the app drawer. You can Deleting apps and moving apps around is much easier. You can setup lots of gestures: swipe up, swipe down and home button actions. Now you can Change desktop grid, sroll speed, infinite scrolling, show or hide search bar, customize folder preview, and lots of other options. As you see that how it's easy to install custom ROM on your Android device with root or without root. I did not recommend you to using CUSTOM iOS in your android device because it can brick your device and if you do not have the knowledge to restore it back, then you can lose your device for ever. You can use iLauncher to make your Android device feel like iPhone OS. And there are several widgets available which you can use for free. Thanks. I hope that the above step by step guide helped you to install iOS on your Android device. 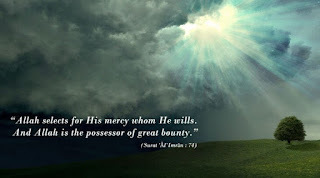 If you are facing any problem then comment in the below comment box, I love to answer your questions.